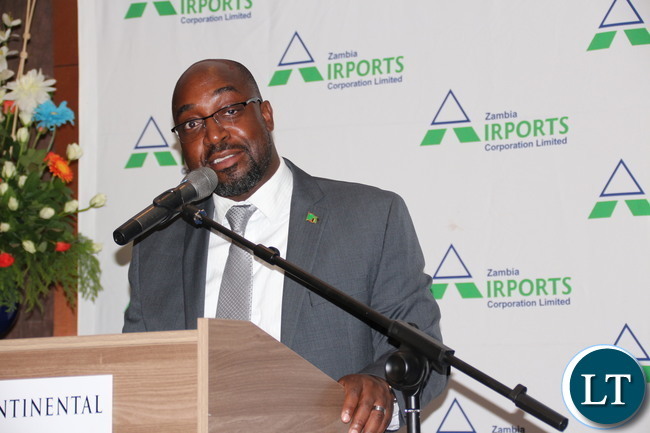 Minister of Transport and Communication Brian Mushimba has reaffirmed government’s commitment to support the digital migration and village television concepts. ZANIS reports that Mr. Mushimba said this when he conducted a tour of Star Times Television Studios in Beijing. He said this will enhance information distribution especially in under serviced parts of the country. Mr. Mushimba said Zambia has already started enjoying a strong television signal which has resulted into good picture and sound quality due to the implementation of digital migration programme. He stated that digital migration, which is being implemented with technical and financial support from Star Times, is a priority for the government saying it will ensure the successful completion of the project. The minister also noted that the village television concept expected to benefit 500 villages, schools and health facilities in rural and remote areas across the country will keep people abreast with happenings in the world. And Star Times Group chairman Pang Xingxing pledged his company’s commitment to provide the needed support and improved quality and sound television broadcast as Zambia rolls out solar television in underserviced areas. Mr. Pang said Star Times will continue to offer all genres of content to cater for the needs of all age groups and social class. Meanwhile, Mr. Mushimba expressed confidence that the digital migration process will be a success as the implementing partner is a renowned broadcast and television content provider with massive experience. He stated that Star Times will provide technical support for sustainability of the digital migration project. And Minister of Presidential Affairs Freedom Sikazwe said the digital migration process is in line with government’s aspirations of ensuring that no one is left behind in terms of development. Mr. Sikazwe said in an interview that the completion of the digital migration project will enable government inform the people about the various developments taking place in the country. Mr. Sikazwe further said the people will have a platform on which they can make known their developmental aspirations. Mr. Mushimba was accompanied by Ministers of Mines Richard Musukwa, Presidential Affairs Freedom Sikazwe, Housing and infrastructure Ronald Chitotela, Commerce Christopher Yaluma and Muchinga Province Malozo Sichone and several other government officials. This fooooool Brian os still in China selling off everything…the way its going its like the whole govt is in China for 10 days!! Stoolpidy little boy with no manners insulting old people. Village TV is a brainwashing Chinese tool…you think China would allow you to open a radio station in their country. Animo Farm spokesman of the wicked coalition and tribal union. “….content provider with massive experience….” star times. Who told you Zambians want Chinese content ? This is the final nail in Zambias independence….relying on Chinese TV content. They own ZNBC ..I think they can put whatever content they want and these dull fooools can’t do jack! !